The S-85AF is a Level 3 cross cut shredder that features an AutoFeed Hopper for hands free shredding. 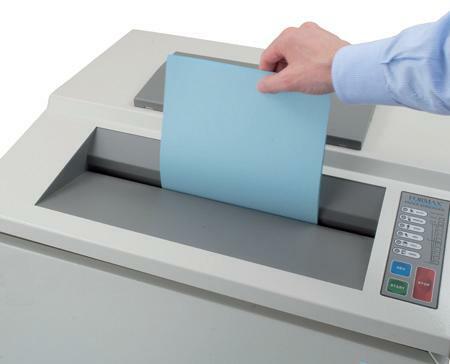 No more standing in front of the shredder, hand-feeding small stacks of paper one after another. 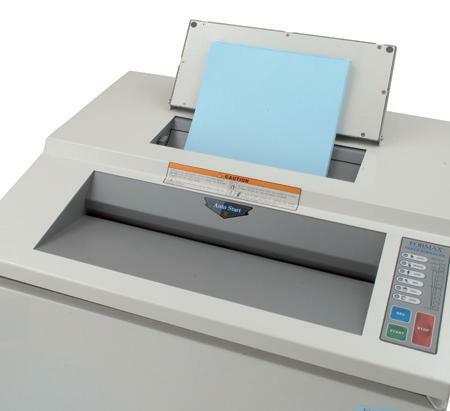 The AutoFeeder has a capacity of up to 175 sheets. Also features an extra wide 16" feed opening for manual shredding and an easy-to-use LED control panel with load indicator. The solid steel cutters are heat treated and specially ground for longevity and minimal oiling. Easily accepts staples, paper clips and credit cards in the hand-feed throat. A powerful and efficient AC geared-motor with heavy duty steel gears for high performance and minimal noise. 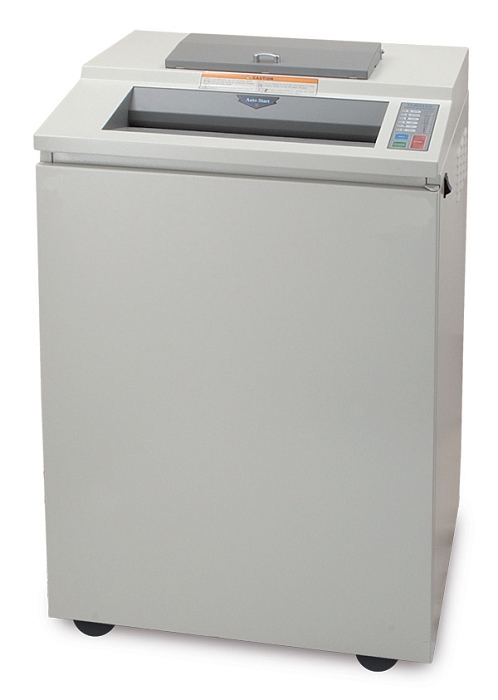 The S85AF All Metal Drive system uses no internal nylon or plastic gears as is common in lower quality shredders. Thermal Overload Protection and a Safety Circuit Breaker ensures safe operation. Also features Auto Start/Stop operation, Door Safety and Bag Full sensors as well as an Auto Reverse anti-jamming control. A Self-Diagnosis System records a variety of information for service technicians and an Oil Indicator LED flashes to suggest oiling cutting blades for optimal performance.